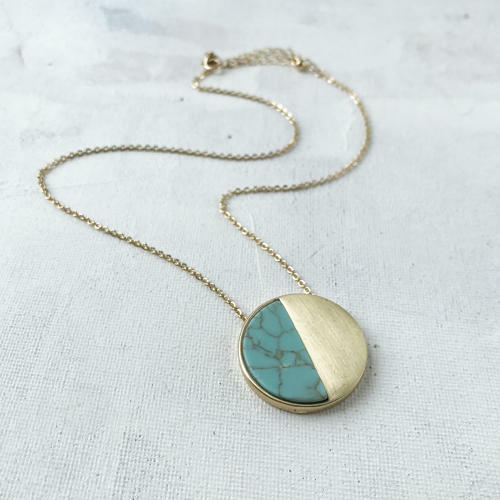 A stylish short pendant necklace with inlaid turquoise and either silver or gold coloured metal. On a trace chain 50cms adjustable, diameter of pendant 3cms. Matching earrings available.